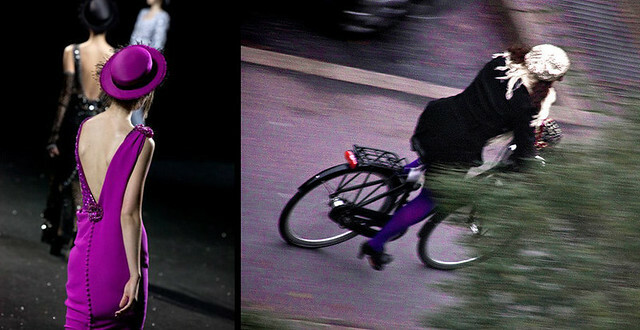 More from Paris Couture week, lovely splashes of Chanel purple. 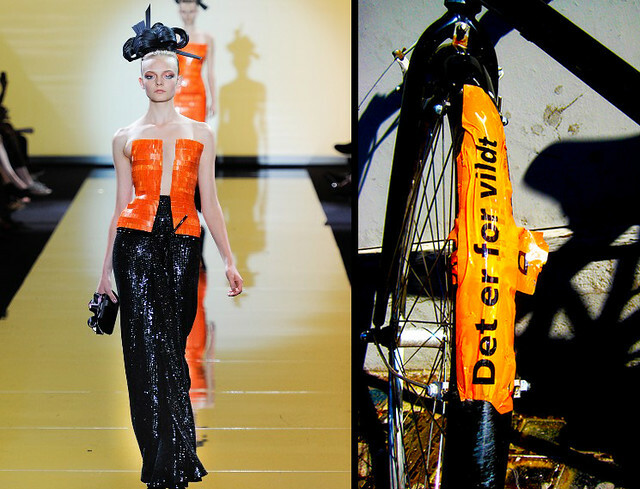 Armani Privé matched with bouquet bicycle. Armani Privé, "It is so wild." Hey, my comment is off topic and i already posted this at copenhagenize.com, but, whatever. Does anybody wanna meet up for a ride or a drink? I'm in staying 'till tuesday noon.